I cannot believe I am headed to China in two months. I am dealing with some big deadlines and I could not be happier. I made some BIG changes in the last year. I decided to GO BIG in my ever growing dreams and goals and growth of my company. My destiny is just that... MINE. Often, I wonder what to SHARE here on my blog. I want to share because I want others to see my REALITY. I also like to share the REAL of my struggles too. I swear I've learned just as much from the setbacks and trials compared to my triumphs. I hope it ignites something with YOU to "abandon" the fear and do what you MOST want to do yourself. So in following my vision for my future, I had to make some decisions. I realized I needed MORE help. I simply cannot do everything I wanted to do and do it well. I hired several new team members to help me see my vision become a reality. I am growing and allowing my FOCUS to be on what I do best. I always say that in order to stay in the game you have to EVOLVE or dissolve. There is no time for me to THINK small or WAIT. There is no one more passionate about YOU and your dreams then YOU. Can I mention again that SOON you will all see the most beautiful new paper collections that are so pretty you might cry? Okay... maybe I can say that because I get super emotional and cry happy tears. I hope you simply will LOVE what I have been up to. 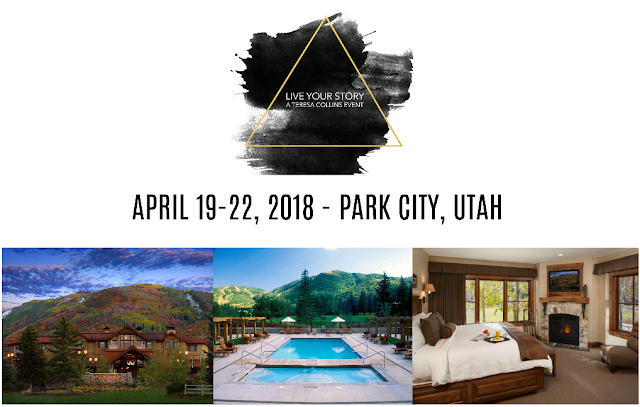 My LIVE YOUR STORY getaway event is in just two months. I hope you will join me. I have not sold it out yet although we could have, because I believe there are a couple more women who NEED this RIGHT now in their life. I have loved working on this new event with Taylor. 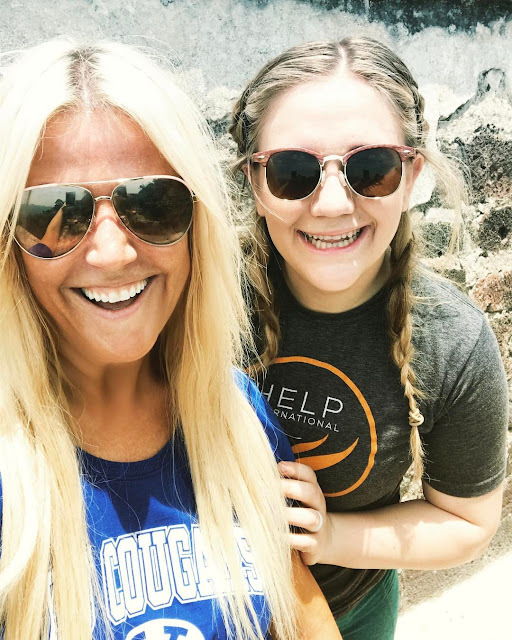 I will just say she is amazing and her attention to detail, truly thinking of EACH of the needs of the women coming, the sponsors she has gotten, etc. I am a proud mom. Taylor has now arranged for a culinary dessert chef to be there with us. Our goal was to truly pamper the heart and soul of each women coming. The line up of presenters and their messages WILL uplift, inspire and make you feel the power that truly is within you. You will be surrounded by myself and others who LOVE you. YOU matter and I hope you will feel a lifelong connection with not only me but those that attend. So today I thought I would share if you want to look at my ABOUT ME page here... I tried to update it a bit. I noticed yesterday that was THREE years ago when I last wrote it. So here is a little about what I have HERE on the blog... in case you don't want to click on it. Just in case you maybe NEW here or NEW to what I am about. 1. I was born and raised in Hickory North Carolina.Yes, I "just might" have a little accent. 2. My favorite colors are white and gold and black. I'm obsessed. 3. I have FIVE children by birth and 6 BONUS children... yes, you can call it the Brady Bunch. I am a grandmother and I love it! 4. I believe my BIGGEST competition is ME. Comparison is the THIEF of JOY. 5. I am obsessed with spray paint. Best way to alter ANYTHING!!!! 6. My kids and husband are my BEST friends. I love being with them. I am the LUCKIEST girl in the world. 8. I am a survivor. I had a stroke at the age of 29 years old when I was 7 months pregnant with my last baby Tyler. I am completely numb on the left side of my entire body. I lost my left side peripheral vision. It has never come back. I live each day with gratitude that I am alive. 9. My husband Tyler died in 2014 of a very aggressive cancer after 19 years of marriage. I was and still am dealing with this loss. I never thought I would be widowed in my forties. I will forever remember, love and be grateful for ALL that was. It was the worst and most painful time of my life. I know what it feels like to want to simply not go on. I learned that our heart was meant to GROW and we can love again. I am learning that trials make me stronger. Attitude is everything and I choose to be happy. 10. I have a soft spot in my heart for women and women in need. My heart is very tender towards widows. I wish I could hug every single person in the world who goes through this loss. It's devastating. I wish MEAN GIRLS did not exist. We should be KINDER and be a team. 11. I met an amazing man who I adore. How in the world did I get so lucky????? He is truly my best friend and allows me to grieve, love and be happy again. I love you Brian!!!!! 12. I believe we can change the world with KINDNESS and LOVE for everyone. 13. Grand babies are the absolute best. If you have them you understand, if you don't... I highly recommend harassing your children for some. this day I hiked a pyramid in Mexico with my daughter McKay, Mauro and Brian. I faced the FEAR... I did it and so can YOU. Love you girl, fear and all. YOU ARE AMAZING! Love you girl! This is awesome, thank you for sharing and being REAL! Thank you Fritzi and Pam. Your comments are very appreciated. I was happy to read number ten. It's nice to know that someone realizes that grieving the loss of your spouse does not have an expiration date and that when I spontaniously burst into tears that you know there is no control and you just can't stop those tears. Thank you for caring and supporting your widowed followers. See you in September!! !